Fiction. In the wake of an affair that has cost him his marriage and career, Marcus is a lost man. Desperate for reprieve from his loneliness and regret, he accepts an invitation to go to the outskirts of North Carolina and visit Edgar, an old high school classmate burdened with mysterious troubles of his own. In Edgar's beautiful, empty home, their separate sorrows draw Marcus into a series of unnerving situations, culminating in a proposed deer hunt. Marcus agrees, despite his inexperience and aversion to killing, and as the hunt draws closer, he must confront the violent prospect with a candor and recognition that have, until now, evaded him. 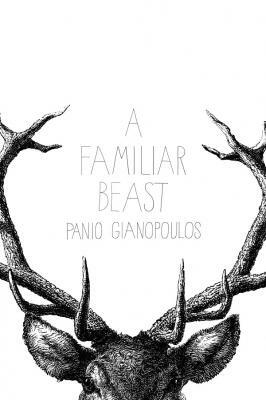 Elegant and darkly moving, A FAMILIAR BEAST is a haunting tale of a man's search for redemption. "Impressively taut and meticulously drawn. As we follow Marcus from reckoning to something like redemption, Gianopoulous's wisdom and humanity light up this darkly comic, bittersweet journey. Here is a gifted writer in full control of his craft and impact. A FAMILIAR BEAST is a perfectly-executed shot through the heart." Jean Nathan.